When it comes to choosing retail shops to partner with, we are picky. Pickier than a 2-year-old who only wants to eat peanut butter and chicken nuggets. Pickier than your dog is about their treats. That is because our retailers are part of our pack. Shops, veterinarians, groomers, and anyone else who carries our products are carefully vetted (pun intended!) have to share one thing in common: a relentless passion for helping pets. This week, we want to shine a spotlight on one of our most caring, passionate retail partners: Essential Paws Island Resort. Located at 942 Seaway Dr. in Fort Pierce, FL, this trendy shop provides retail, grooming, and luxurious boarding experiences. Owners Kyra Lollar-Trefelner and Gabrielle Lollar-Trefelner took some time to tell us about Essential Paws and share the ways their team and shop are so passionate about pets. Q: Tell us a little bit about your shop. What was the inspiration behind opening your shop? A: Essential Paws Island Resort offers grooming, cage-free doggy daycare, and resort style boarding. I [Kyra] have been grooming for almost 6 years and had always struggled to find a salon that met my high standards for pet care. Gabbie, my wife, has always had a love for dogs and just happens to have a business degree, so we took a gamble on ourselves! I have the pet care knowledge and she has the business brains, together we make the perfect team. It has been the most exciting and rewarding two years of our lives and we don’t regret it for a second! Q: Have you always loved animals? What is your favorite thing about working in the pet industry and why? A: We have both always loved animals. My chihuahua got me through the loss of my mother when I was 21, and he’s the reason I started my career in pet care. Gabbie has loved animals of all kinds her whole life. She has such a soft heart and seeing animals happy brings her joy. We love working in this industry because of the satisfaction a happy dog brings us. Our clients are our family, they are like our nieces and nephews. They LOVE visiting Auntie Ky and Auntie Gab! And the peace it brings their parents to know their babies are not only safe, but happy to be here is priceless. Q: What are some of your favorite things about your shop? A: I think one of the coolest things about our shop that sets us apart is the fact that we are right on the ocean, literally! Our yard backs right up to the water, and the dogs LOVE it! Every time they step outside, their noses go up, their eyes close, and they breathe in that salty air. Another awesome thing about our resort is it resides in one of the oldest beach houses on the island. It’s very charming and feels more like a home than your typical boarding facility. 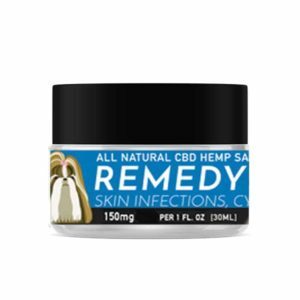 Q: Do you have any suggestions for other retailers to improve their retail sales (both of CBD products and other products)? A:My best suggestion is use it on your own dogs. If you believe in the product, it’s so easy to sell it. Our miniature poodle suffers from epilepsy, and we tried all of the drugs the vet recommended with no relief. Then we came across CBD. We were diligent with her doses and after about a week, she was seizure free. We are going on almost a year with no seizures now! Coming from a time when we were holding her through upwards of 6 seizures a day, this is a miracle. I’m horrible at upselling, I’ll be the first to admit it. But if I know a product works because I’ve seen it myself, I swear it flies off the shelves. You aren’t selling something at that point, you’re helping someone. Q: Do you have any CBD success stories you’d like to share? 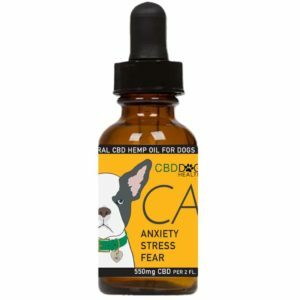 Any pet parents who have told you they have seen a difference since using CBD they bought at your store? A:Yes, of course I have my own success story with my poodle. But I also have huge success stories using it on grooming clients, boarding clients, and parents who have bought it to use at home as well. One specific client comes to mind, the parent of a senior Schnauzer named Rosie bought CBD Dog Health CBD from our shop because she has major anxiety at home (probably dementia or sundowners). She said the CBD has been life changing. Rosie never used to settle, always panting and pacing. Now, she is able to lay down and relax which is huge. Q: Is there anything else you would like to share about your team, your work in the community, or what sets your shop apart? A:I am so proud of where we are as a business and a team in such a short amount of time. Gabbie and I have been so blessed to find people who care about pets the way we do and who believe in our same mission of providing the very best care. I am also so thankful to have stumbled upon CBD Dog Health at the dog show in Orlando last year! To learn more about Essential Paws Pet Resort, visit www.essentialpaws.com. To learn more about becoming a CBD retailer, or to suggest a retail shop for us to contact, visit www.cbddoghealth.com. PreviousPrevious post:Holistic Pet Care Options for Dog Owners: Pet CBD Oils, Massage, and More!NextNext post:Is Lavender Essential Oil Safe for Pets?